Does this guy look worried? 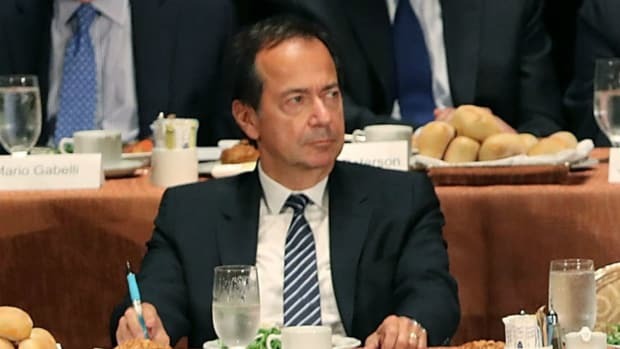 Investors in Paulson & Co.’s Advantage funds did not have a great year. It wasn’t quite 2011, but a 36% loss in no less unpleasant just because you suffered a 51% loss three years earlier. His merger-arbitrage strategy—you know, the one that was all of basically flat last year?—can’t miss in 2015. Armed with a near-record amount of money to bet on mergers, Paulson is banking on the notion that some of the fund’s poorest performers in 2014 will reverse course. “Overall, the fund experienced higher than expected volatility in the second half of the year due to uncorrelated events impacting some of our largest positions,” Paulson told his investors in a monthly update….